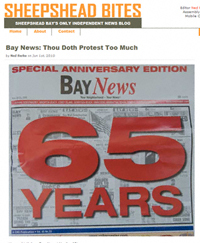 Quicklink: Happy 65th Birthday Bay News! 1. It is one of the funniest things I have read in a long time. 2. Their analysis is spot on. Click here and read it for yourself. It is WELL worth the time!